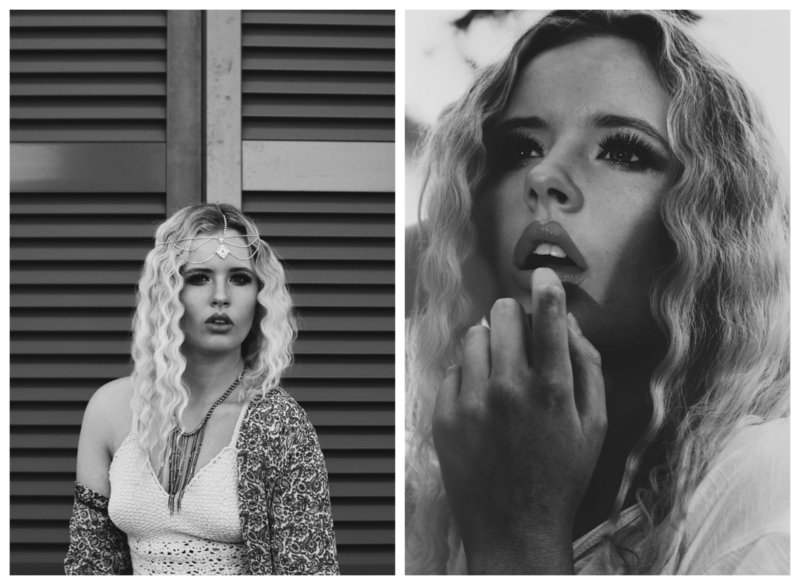 Bohemian styled portraits with Jessica. Madly different from my usual posts, but I am now going to start slowly unveiling bits of my photography in hopes of being able to interest people in wanting shoots done, perhaps even collaborations. Shot in Portugal at our villa, there was no better location. The backdrop with the views were breathtaking, and the grounds of the villa itself had endless amounts of variation, pure bliss for photographers and bloggers. My head was exploding with ideas for shoots I could create, overall the bohemian style fit well with the whole end of summer vibe and location. Playing around with lighting and shadows in the first few photographs, then taking a more contemporary turn with the next by positioning Jessica in front of the poolside shutters, giving off a more tough industrial feel against the relaxed boho style. I love working in black and white but with the warm late afternoon sun blooming, it was magical to work and experiment with. Shot and styled by yours truly. If you're interested in shoot or collaboration head over to my contact page for details. More photography coming soon to Katerina Jane. my thoughts and prayers to all affected by the tragic events that took place on Friday around the world. posted by Katerina Jane . Sunday, 15 November 2015 .